Awesome job on your blog post, Parker! I hope to read another one from you! I too am blessed with a good family that is fun and loving in their own way. Your sweet post helps me to think of them. Thank you for sharing! Parker, I thought your post was very interesting and well-written. I liked reading your perspective on your family’s life. I think the picture is wonderful because it shows how hard you were concentrating on your post! I do have a family whom I love very much, including a son who is now 13 years old. He enjoys coding games and things like that on his Mac laptop. Perhaps that is something you can learn to do when you get bigger. Best wishes and hugs from Seattle, WA. Parker, I love your post. 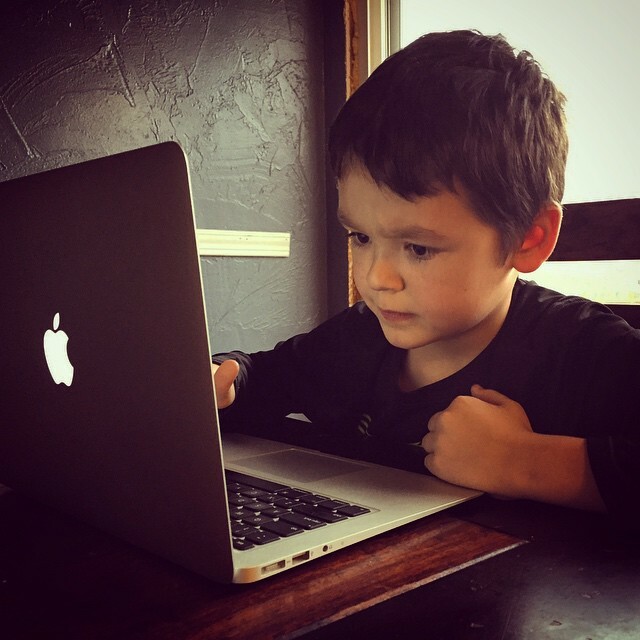 Someday I hope that my son will show the enthusiasm for my website as you show for your dads site. Great job parker, welcome to the blogosphere! Bloggerhood Etc. 2/9/14 | Fatherhood Etc.